RUSH: Well, this just after noon in Washington, D.C., which means the inspector general’s report is now being viewed. Members of Congress are looking at it along with the White House. It’s at the White House. It is not supposed to be released to the public until 3 p.m. Why do you think that might be? What happens at 3 o’clock every day? This program ends. That’s what happens at 3 o’clock. So the president looks at it and then it’s up to him how much of it gets released. I don’t think we’re gonna have to wait until 3 o’clock to find out what’s in this thing because it’s gonna start leaking like a sieve. In fact, it already has. There’s already a big leak about James Comey, and it’s a disappointing one. Now, I’ve heard… It’s disappointing to me. I’ve heard people this morning who have had experience with inspectors general reports, and they say, “Hey, you know what? These things are often hard-hitting, because they dig deep. The inspector general’s report, you can count on this having a lot of meat in it.” So a lot of people — and I’m talking about some conservative media types — expect there to be bombshells in this. And then when it didn’t happen, guess whose credibility went south? All the people who had been hyping it. So you gotta learn how to take these things and expect them with the proper proportion. Now, the leak about Comey — and I think it comes from Doomberg News, although it’s out there in a number of places now. “While we did not find that these decisions were the result of political bias on Comey’s part,” ostensibly, supposedly the inspector general’s report will chide the FBI director for being insubordinate and for assuming control of the Justice Department when he did not have it. Well, he made up law! Intent was not part of the law! But beyond that, charging decisions are not the FBI director’s. Press conferences like he did are not the purview of the FBI director. Any press conference like that announcing whatever the DOJ was gonna do or not gonna do would have been left to Loretta Lynch, the attorney general at the time. In addition, Comey providing details of the investigation is another gigantic no-no. This just isn’t done. This is FBI, DOJ guidelines. You never divulge details of an investigation while it is ongoing. You leak it to friendly people in the media, but you don’t go out and do it the way Comey did. So all of that, according to the IG report — well, according to Doomberg — none of that that Comey did originated or consulted from political bias. (sigh) I don’t understand that. James Comey and the FBI were committed to Hillary Clinton winning the election. They had exonerated her even before Comey’s July 5th press conference. 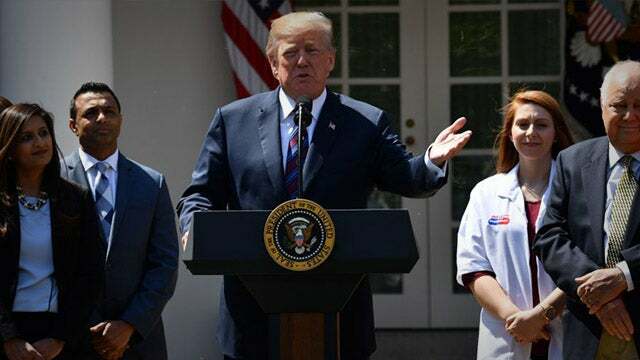 She was interviewed (because they had to do that) on the Saturday of the Fourth of July weekend. She was allowed to have all kinds of people in there with her who are not lawyers; they were all granted immunity. As the IG investigates this, anybody investigating it would have to see the laws that she broke, the statutes with the server, with her emails, with classified data. What does he have to say about that? 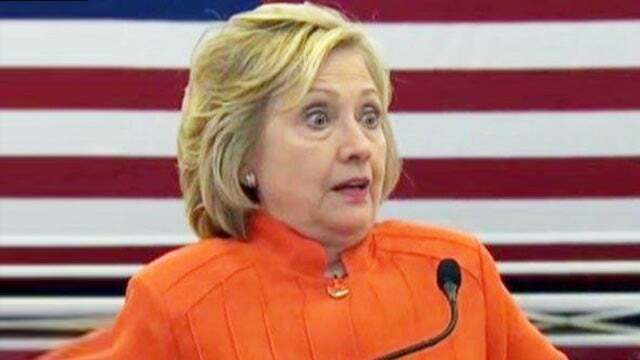 I mean, if we have a secretary of state who it is obvious is breaking the law, but we are investigating the FBI who exonerated her, at what point does the IG say, “They let her skip; they should have charged her”? Is this what the IG report’s gonna say? We don’t know. And I said, “Give me a break! She’s trying to act like she doesn’t know what wiping a server means or wiping a hard drive. What do you mean, “with a cloth”? She’s trying to portray her… He’s the Smartest Woman in the World trying to portray herself as an abject doofus when it comes to the technology involved in deleting data from a computer, from phone. She knows how to do that as much as she knows how to get up in the morning because that’s what these people do: Hide data. We will stop Trump from becoming president. That’s Peter Strzok replying to Lisa Page. This is ostensibly from the IG report as well. And an acknowledgment that they were engaging here in politics, political bias and so forth. Let’s go to Professor Dershowitz and see what he thinks we’re in store for. He was on America’s Newsroom today. Sandra Smith was speaking to the professor, and the question was this: “Those that are caught up in the process of this report, we obviously know James Comey, but Loretta Lynch, Andrew McCabe. What do you expect to hear about them, Professor? DERSHOWITZ: I think we’ll hear criticism of Loretta Lynch on the ground that even the perception of bias is not something an attorney general should commit to happen and that her meeting with Clinton at the tarmac was ill-advised. Look, I wonder whether we’ll see anything about the close relationship between Comey and Mueller. We know that these people were joined at the hip, and if Comey is criticized, I think the president will get some ammunition criticizing Comey’s protege or close friend, Mueller, and whether he should have been the one to investigate matters that may involve his friend Comey. RUSH: Now, there’s one thing about this, folks. This report — the inspector general’s report — has been final for a while, and it has been circulating among those who are named. That is standard procedure. They are given a chance to read it, and then they are given a chance to lobby the IG to change his interpretation of their actions. That normally falls on deaf ears, but they’re at least given the chance. The point is that this stuff has been circulating for weeks now, and there hasn’t been… Up until last night, there hasn’t been a leak from this. There hasn’t been a single bombshell leak from this. It’s 500 pages. So the interpretation of that is, “Well, it’s got to have some bad news dynamite in it for a lot of people if it isn’t leaking, because if it exonerated a lot of people and if it was really a ‘nothing to see here’ kind of report, then that lived leaked already.” So we’ll find out. We’re doing our best here. We’re not gonna sit here and sit still and just be shut out of this by the fact that it’s not gonna be released ’til after 3 o’clock. We’re gonna try to find out what this thing has, ’cause it’s gonna be leaking all over the place. RUSH: The Washington Post has a story. By the way, Maggie Haberman, who is the New York Times reporterette, infobabe who gets probably most of the anti-Trump leaks in and around Washington, has tweeted a link to a story I’m holding here right in my formerly nicotine-stained fingers in the Washington Post. Her reaction after she types the link in her tweet she says, “Oh, man.” Now, I don’t know what that means, but I have the Washington Post story. The headline: “IG Report Criticizes Comey’s Handling of Clinton Probe, Includes Anti-Trump Exchanges Among FBI Personnel.” Okay. Been there, done that. We knew all of that. We knew Comey comes under criticism, but apparently not because of any political bias, when we know that there was! We know that Comey was totally invested in Hillary Clinton winning, and we know that after Trump won, Comey was invested in reversing the outcome of the election, embarrassing Trump and what have you. We know that Comey was political biased. But apparently the IG report exonerates him from that aspect of why he did what he did. 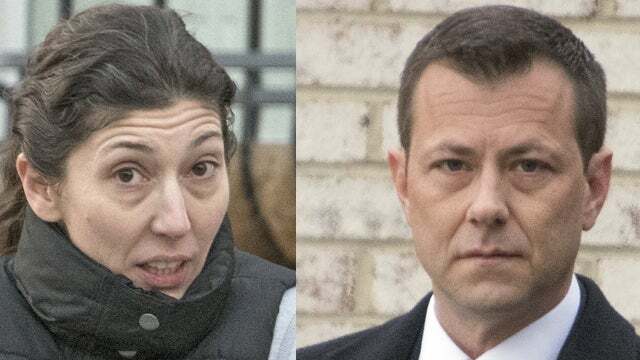 And we know about the anti-Trump exchanges among FBI personnel, such as Strzok and Lisa Page. RUSH: All right. Here’s a bit of an update for you. Three Republican members of Congress — [Andy] Biggs, Ron DeSantis of Florida, Matt Gaetz — have written to the inspector general, Mr. Horowitz, asking for all of the drafts of his report on the handling of the Clinton email case. They say, “We are concerned that … people may have changed the report in a way that obfuscates your findings.” That’s from the letter they have sent to the IG. Now, this is a reference to the fact that for the past three weeks this report has been circulating and the people written about — subjects of the investigation — are given a copy of it. And they are then… It’s obviously for the purpose of lobbying the IG to change his interpretation to make their case how what he has written, what he’s found is wrong. So these three members of Congress think that a whole lot of stuff that was originally in this report may have been changed to exonerate people who were originally found to have committed some bad stuff. So these three members want to see every draft of Horowitz’s report. They, again, claim that they’re very concerned that “people may have changed the report in a way that obfuscates your findings.” That is a quote. None of this surprises me. There’s another story out today that’s all part of this too. Look, I think that some of this may actually be bombshell, based on… We have little trinkets of this stuff leaking out now. But there’s a Fox News report today. Catherine Herridge, who has been doing some stellar work on all of this — the special counsel investigation, the Hillary Clinton investigation. Fox News is reporting that foreign actors accessed Hillary Clinton’s emails, and there are documents confirming this. And this is pretty fresh from Fox News today. Again, that’s not surprising. This is… I’ll tell you what’s setting up here to be mildly frustrating is that those of us who have been paying attention to this day to day — and telling you, for example, about it — we know that the Russians had to interact with Hillary’s server! She was trafficking in classified data. The Democrats have been wandering around complaining the Russians hacked the DNC server. The Democrats are the ones that have inserted the Russians into all of this! They claim that the Russians are working with Trump, but they’re the ones that put out this whole idea that the Russians were running around committing illegal things. So Fox is reporting there are documents that now indicate and prove that foreign actors accessed Hillary Clinton emails. Again, not a surprise. These are things, again, that we know are very highly suspected. The question is: What’s gonna be done about this and will anybody pay a price? Because as the news dribbles out, be it from the Mueller investigation with the lack of any evidence that Russia colluded with Trump, what we’re finding is that Russia and the Hillary campaign were practically inseparable. So does the IG report make note of that, and does it call people on the carpet for ignoring that while communicating with each other about how Trump is a bad deal and we’ve gotta stop that from happening? 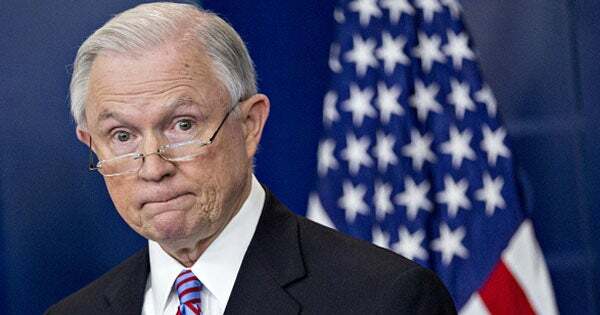 “Sessions also made clear that he is open to firing more employees if the Justice Department inspector general’s … report warrants it.” More people being fired. That’s the very least that should happen, more people being fired. But my question is, Sessions has seen this, right? He has to have seen it, right? He’s the attorney general. This thing has been floating around. So Sessions has seen it. So if we think… If we’re pretty sure that Sessions has seen it, then these comments carry a little additional meaning. If he’s seen it and is talking about potential additional firings, it means that it is on his mind. “‘I think it will be a lengthy report and a careful report. I think it will help us better fix any problems that we have and reassure the American people that some of the concerns that have been raised are not true.’ Published reports have said the report concludes Comey was insubordinate as FBI director when he refused Justice Department advice and announced a renewal of the Clinton email case just days before the 2016 presidential election,” you know, in October, just before the November elections. Comey thought he was doing Obama’s and Lynch’s and Hillary’s bidding. Remember, you can’t forget: At no time during the campaign did any of these people think that Donald Trump was gonna win. Throughout the campaign and even up to 9 p.m. on election night, they thought Hillary was gonna win and in landslide. So the real reason Comey went out here and supposedly reopened the case on October 28th was to be able to two days later to announce, “There’s nothing here, folks. We are permanently closing this case. This was actually an attempt to help Hillary and take this whole email story out of people’s minds, get it off the table, nothing to linger, nothing left to investigate. We’ve looked at it thoroughly now. We’ve tracked down every bit of evidence, and she didn’t do anything we could charge her with. But it didn’t fly that way. Hillary and the Democrats and the media were outraged! They looked at Comey as doing great damage to Hillary’s campaign by bringing this thing up so close to the election when Comey knew what he knew in September. He could have done it in September, but he didn’t do it in September for one reason: He didn’t want to give Trump and the Trump campaign any significant time to react to it. This was actually intended to be a late October Surprise to benefit Hillary. She wasn’t gonna win anyway. (chuckles) The interesting thing about this is that all of this time that everybody here in the establishment and the swamp, the FBI, Comey, you name it. All this time they thought Hillary was gonna win. She was never going to win. Their pollsters were lying to them or their polls were wrong. Trump was always going to win this. When the Access Hollywood video did not take Trump out, that’s when Trump won this. I think he won it before that. But they thought that Hillary was gonna win. And it influenced everything that they did. And then when she didn’t win, you talk about…? You talk about shock and awe and disbelief and panic? And that’s when all this current garbage that’s going on, which is essentially an effort to overturn the election of 2016. That’s when that began. RUSH: Boynton Beach, Florida. Mike, you’re up first today. Thank you. Welcome to the show. CALLER: How you doing, Rush? Longtime listener since 1989. RUSH: That makes you an almost lifer. That would make you, like, 29 years. That’s big. I appreciate that. CALLER: Almost. So I’ll get right to the point. It’s really hard to see how this upcoming report is gonna be hard on Comey, particularly given his close association to Mueller. What I haven’t seen a lot of on the pundits and the reports on television is that press conference that Attorney General Lynch gave after she got caught with former President Clinton on the tarmac. Essentially, if everybody remembers, she just came out and gave Comey carte blanche to basically do whatever he wanted to do or say whatever he wanted to say. Essentially, she sort of recused herself from that situation, and then she said that she was going to accept any finding that Comey or the FBI would have. So it appears that Comey didn’t really usurp anything, and he was given, I think, significant cover. So in light of the fact that he went on and did what he did when he exonerated Clinton, it looks as if he had the blessing of the Justice Department through Attorney General Lynch giving him carte blanche. RUSH: Maybe so, but he still can’t do it. She has to appoint something like that to her deputy. The FBI cannot do it. That’s why he’s being called on the carpet for it in the report. Now, you’re right though. I don’t know how hard on the carpet he’s being called. If it’s true that he is being said to have not acted like politically, that there was no political bias that dictated Comey’s behavior here. It was, rather, other things. You know, she can say, as she did (stammering), “Look, I — I — I — will accept the findings. I — I — I — will defer to whatever is found, and I — I — I” bah, bah, bah. She did that, I think said this publicly more than she really actually meant it, ’cause she got caught on the tarmac with Clinton. But she cannot… I’m pretty sure she can’t just delegate this to the FBI director to go out there and make the case or announce whether or not the DOJ is going to charge somebody or not. The FBI director cannot do that no matter what instruction he’s given. That has to come from official DOJ. They’re the only people that can charge people. FBI can’t charge anybody. They can’t decide not to charge anybody, no matter who gives them some sort of carte blanche. RUSH: She didn’t have to. Obama already had. This is another thing. Obama had already telegraphed that Hillary didn’t do anything wrong. It was Obama who put out in the public domain. (paraphrased) “She would have never intended to do anything that would harm America! She’s one of the best diplomats we’ve ever had in America. She’s one of the best first ladies, and she’s gonna be the best president. And I know Hillary. She wouldn’t have done that, and she wouldn’t have intended.” So there right. If anybody was sending a signal to anybody to leave her alone, it was Barack Hussein O.
Let’s see if that shows up in this report. What do you think the odds of that are? “Well, not very big, Rush, ’cause Obama’s not in the DOJ.” Yeah, yeah, yeah, right. Anyway, Mike, I appreciate the call. I really do. I will acknowledge: Maybe I can be wrong. Maybe she can tell anybody she wants to go out there and announce the case or lack of a case. But I just… (sigh) Even if, I don’t think what she did could be construed as an official passing of the about a ton to Comey. Comey would have still had to interpret (that’s what she meant) and then taken it upon himself to go ahead and do it. I think Comey has even said, by the way, that one of the reasons he did is because she was so obviously tainted after her tarmac talk about grandchildren with Bill Clinton. So Comey… Look, James Comey is always gonna tell you that he’s a Boy Scout, he’s an Eagle Scout, he is the creme de la creme. This guy the definition of integrity, the definition of honor, he and Mueller — and he was only doing what he did to save the reputation of the Department of Justice after the attorney general made that gigantic, big screw up by meeting with Bill Clinton. Michelle in Cary, North Carolina, you’re next. Welcome. CALLER: Hi, Rush. It’s such an honor to talk to you. CALLER: Thanks for taking my call. I wanted to just say a few things. One was, with the fact that there were spies you in Trump’s campaign, we now have to acknowledge that there are actually three years of investigations going on with him which he didn’t even know about. And the only thing they have come up with and they have studied the intently for these three years has been a meeting about an adoption and a couple people’s emails with foreign nationals or talking with foreign nationals when actually that was within their job description. Yet we’re expected to believe that they were able to go through tens of thousands of emails in 36 hours to determine, “No foul play! Everything is fine.” That’s the one thing that says just has everybody I think needs to be cleaned house because they’re obviously incompetent. RUSH: That’s a good point. She’s exactly right, ladies and gentlemen. In that October 28th press conference, they essentially led us to believe they went through I think a hundred thousand emails in a couple of days. And they didn’t find anything. Even if it was 50,000, I mean, how do you do this? So, yeah, all kinds of reasons here to be suspicious. But the primary reason to be suspicious is that this is still the swamp investigating itself, folks. This is not… I know the reputation that IGs are independent and some of their reports have been pretty hard-hitting and deep, and we acknowledge that. 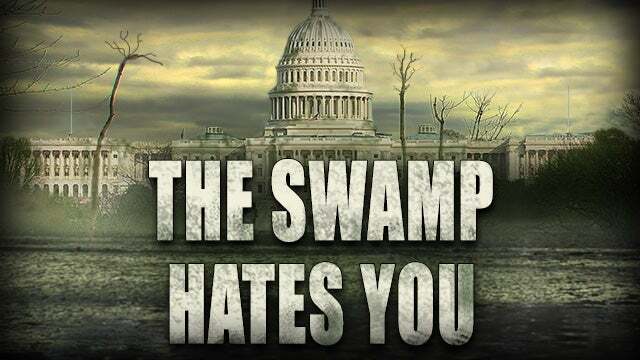 But this is still the swamp investigating the swamp, and the swamp still hates Donald Trump, and the swamp still wants to overturn that election. RUSH: Now, look, our caller from Boynton Beach had a point, and I didn’t mean to slough it off. Loretta Lynch said four days before Comey’s press conference on July 1st that she would accept the recommendations of prosecutors and he investigators on whether to bring charges against Hillary Clinton over her email use. So that could be construed as an open pathway to Comey to go out and make the decision and do it publicly. Yet he is still being called insubordinate in this report, we think. We think. RUSH: Okay, we’ve done what we can with the IG report. There is not much more to work with here although our ears and eyes remain open for the next two hours. Now, Rod Rosen… How does this…? Does he pronounce it Rosen-steen or -stine? (interruption) I have too, and I’m not sure which it is. I actually think it’s Rosen-stine. I think I heard Sessions pronounce it. So that’s what I’ll go with. Rosenstein arrived at the White House a half hour ago to present this thing to Trump. Rosenstein. Ha! Would you not love to be on the wall in the room where Rosenstein presents the IG report to Trump? It’s gonna start trickling out as elements of it are. RUSH: There’s no doubt they were trying to subvert an American presidential election. Here’s Jeff as we go back to the phones. Clearwater, Florida. Glad you waited, sir. Hi. CALLER: Hey, Rush. Hi. Thank you for taking my call. CALLER: It’s an honor to speak with you. I just have one quick comment about this IG report. CALLER: My personal view is no matter who comes out in this report, nothing’s gonna come of it. I think it will all get swept away. The media will do whatever they do. They’re in damage control. Everybody will be out there, you won’t hear much of it, and it will just go away. It will get buried in the swamp. That’s what they’re gonna do. They’re gonna tried to do stories to blow this whole thing up. Whatever it says, they’re gonna ignore, just like the Trump summit with Kim Jong-un! They ignore it and then write about it in ways and with things that nobody saw! And that’s what they’re gonna do here. They are not about seeking the truth. They are protecting their side or their establishment or what have you. So you had better prepare yourself. I don’t care what indictments there are in this thing — well, they’re not really indictments — what allegations, accusations there are. If the media can find one sentence that they can blow up and say proves that the IG found no evidence that Hillary rigged anything or that Hillary violated Espionage Act or whatever, that’s how they’re gonna highlight this thing. Whatever is in it, they’re gonna point out what isn’t in it, what hasn’t been found. Mark my words. I know these people, folks. I’ve been studying ’em. I’ve been dealing with these people for 35 years, and I know how they’re gonna deal with this, whatever it has. I appreciate the call, Jeff, very much. Here’s Michael in Spartanburg, South Carolina. You are next. Hi. CALLER: Honor to speak to you, Rush. My question to you is: With everything that’s already happened — everything that Rosenstein’s already been tied to and now the success of President Trump — does he finally have the cover to fire Rosenstein? RUSH: Uhhh, “the cover to fire Rosenstein.” You know, I’m gonna reserve my answer to that because I don’t know yet what actually is in this report. I’m… You know what? I’m still kind of (not to be using puns here) struck like Strzok. I’m still kind of surprised that haven’t been an avalanche of leaks yet. Folks, remember Congress is looking at this thing, and even though — and I will give you some inside baseball here. I am not the kind of radio or TV person… I do not have members of Congress in my Rol-O-Dex. I do not have staff numbers. I don’t know a soul up there to call. Well, I know a couple, like I know Louie Gohmert, but I’m like you. I sit around and wait ’til it gets reported. I’m not an insider. 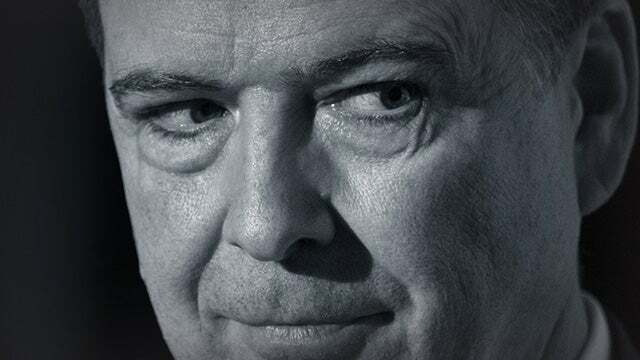 So I’m not gonna be on anybody’s list to call to leak anything — which is the way I want it, by the way. That is a professional decision I made long time ago. The way I look at it, those people are gonna come and go. They win elections and lose ’em. But I am forever. And I just don’t want to tie myself to people or issues that I don’t have any control over. So it’s just… In a way, I’m kind of distant and removed. I’m not like a whole lot of other people who cultivate these relationships so they get inside information on phone calls or texts or whatever. Now, that may be a disservice to you, but it actually isn’t, because I eventually learn what’s important and tell you what I think of it and therefore what is important. Which will be the case here too. But I mention only because it’s amazing that so little of this has leaked out even now. ‘Cause it’s been out there almost two hours. Longer. It’s been out there three weeks. It’s been circulating around three weeks. Now, whether this report would provide Trump cover to fire Rosenstein? Time will tell, and it won’t be very long. 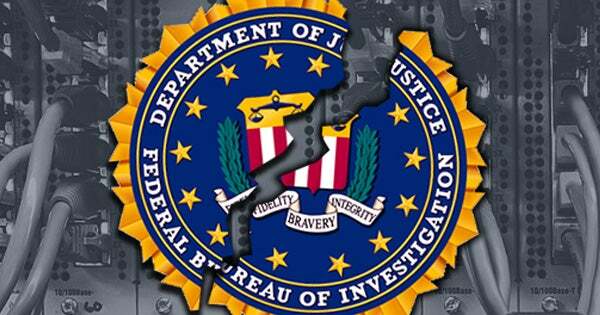 RUSH: Kyle Cheney, Politico, tweet: “IG found that on numerous occasions, COMEY used a personal GMail account to conduct official FBI business, according to source briefed on the report.” Well, now, isn’t this interesting! Here we have Hillary using a private server with a private email address, and she is conducting State Department business on it, and she is sending emails back and forth to Barack Hussein O, The One. And he knows damn well that she has an illegal server, and he knows damn well that she’s trafficking in classified data on an unprotected server. He lied when the media asked him when he found out. He said (impression), “Well, I found out same time you did! I found out in the newspaper. I found out in the media.” It’s another reason they had to protect Obama. He had lied through his teeth. He did not found out with the media. Texan from the get-go and covered for her. Now we find out that Comey was using a private email address to conducts official FBI business! Isn’t this interesting! Hillary and Comey are both, essentially, off the official grid here. They literally just omitted it, just left it out in the materials submitted for congressional oversight. The news keeps unfolding right before our very I’ve seen, but still nothing really major other than this Strzok leak. Now, there’s something else about this — and again I’m using intelligence guided by experience. Oftentimes in a circumstance like this where there is a multiple-hundred-page report that may have some really, really bad stuff in it, one of the “tricks,” if you will, is to leak something that is pretty big that will occupy people’s attention and get them talking about that. So as when the rest of it comes out, some stuff might be missed or overlooked because everybody’s focusing on this. It’s like, as I said earlier, the way they set everybody up to watch Bill Clinton’s grand jury testimony during the Paula Jones case, telling everybody Clinton had lost it during the question about the cigar when nothing like that happened. So when everybody’s watching the testimony, very few people are listening to what Clinton is saying. They’re focused on what’s coming up. They’re focusing on the cigar question. The cigar question and answer comes, and there’s nothing to it, and people have not heard much of whatever else Clinton said. So be aware that there may be something similar going on here with this. Bottom line: Don’t get distracted. 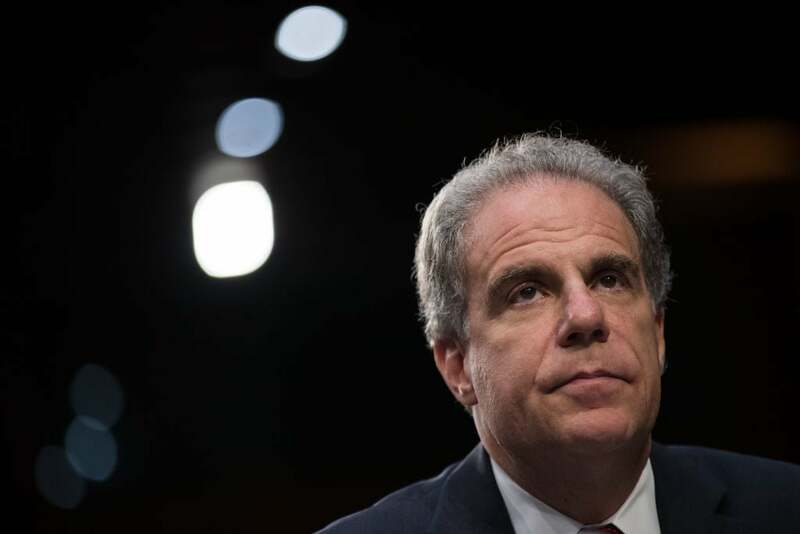 “But the report, by the department’s inspector general, Michael E. Horowitz, does not challenge the decision not to prosecute Mrs. Clinton.” Even though I knew that was gonna happen, it still frosts me. But this bunch has gotten away with it for 30 years, folks, and… (sigh) With the FBI having exonerated her and Comey doing it, I just couldn’t see the IG telling everybody the case needed to be reopened, and he didn’t. “…Michael E. Horowitz, does not challenge the decision not to prosecute Mrs. Clinton. Really? Even though they got the outcome they wanted and they were in charge of it? See, this is the kind of stuff that forces the American people to abandon trust and believe in Washington and seek outsiders. This just defies common sense. No political bias? Ha! With everything we know about James Comey wanting a special prosecutor to go nail Trump, setting Trump up? You want me to review the things these people did to try to subvert the Trump campaign? I’ll be glad to go through them again. In fact, I think I will, just to illustrate how stupid it is to claim there was no political bias. He invented that she had no intention to break the law. That’s not even in the statute! RUSH: I want to go through a list of things. I referenced this earlier. We’re told here that the inspector general report does not challenge the decision not to prosecute Mrs. Clinton, nor does it conclude that political bias at the FBI influenced that decision. Nah! They were only trying to subvert Trump’s election effort. They only wanted Hillary to win! This text exchange between Page and Strzok proves it! “No, he won’t. We’ll stop it.” What? There’s only one thing that can mean! They don’t want Trump to win, and they’ve got a plan to keep it from happening and that she shouldn’t worry about it; they’ve got it. They’ve got it covered. No political bias? No political bias. Let’s see. Even though this list of things has nothing to do with the Hillary email case, the same people were investigating the Hillary email case as were investigating and are investigating Trump. The IG says, “No, we couldn’t find any evidence of political bias in their decisions on Mrs. Clinton whether to prosecute or not.” Let’s see. There were wiretaps on Trump. There were bogus FISA warrants based on a bogus piece of intelligence — which was not intelligence; it was an opposition research document — the Steele dossier. And they presented that as legitimate intel to get a warrant from the FISA court to spy on the Trump campaign. No bias there. They had three embedded spies and informants. Joseph Mifsud is one of them. Stefan Halper is another. And maybe the Australian ambassador, Mr. Howard, is a third. And there could be more. And then there was the acknowledged Crossfire Hurricane operation to stop Trump on the basis that he was in cahoots with Russia. We have the prosecution and the indictments of Manafort and Michael Flynn and Carter Page, who didn’t do anything related to the campaign. We have Strzok admitting that they needed an “insurance policy” in case Trump surprised everybody and won. We’ve got the dossier again, which was phony, bought and paid for by Hillary and the DNC, and it was treated as legitimate intel. They withheld documents and texts from Congress for months. Why? Why they were afraid for Congress to see any of this? How many bogus allegations are there even today? The ongoing collusion between Trump and Russia. I mean, how much more do you need to know that there’s a political bias here? That many of the people involved in the effort to stop Trump, to have an insurance policy to stop Trump, that were spying on Trump, that were using a phony dossier are some of the same people giving Hillary Clinton a pass in the investigation of her email and server usage. No political bias they could find? If those are the two takeaways, the primary takeaways — and there will be more, but if those are the two primary takeaways, that it was a soft cover-up but there was this one bombshell in there, then I don’t think the establishment knows what it’s gonna be creating here. They’re gonna create… Here comes Mrs. Clinton being absolved again when everybody knows that she rigged an election against Crazy Bernie, that she was involved with the Russians to try to nail Trump. This could end up being the worst thing that could happen to the Democrats and their electoral chances. This is gonna rev people up and it’s gonna keep ’em involved and in the game as just another bit of evidence of why the swamp needs to be drained. Now, that’s a premature comment based on the fact that I haven’t read this whole thing yet. It’s kind of a prediction based on an “if” it contains what is said to be a soft cover-up. It may not be. 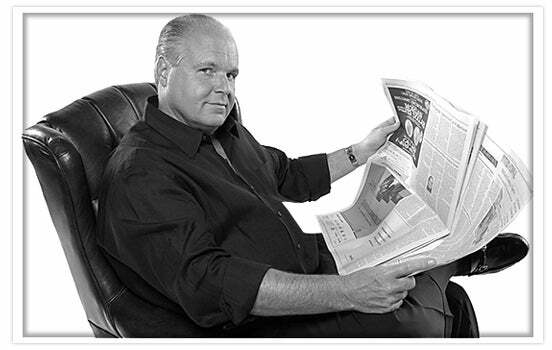 RUSH: So there are some tweets going around — and you already know this, but I just want to share this with you. The inspector general found that Obama was one of the 13 individuals with whom Clinton had direct contact using her illegal email account and server. The guy says, “Now we know why Clinton was never gonna be charged.” Yeah, you people have known that for a couple of years. She wasn’t gonna be charged because Obama was trafficking on this thing with her, and they would have to go after him if they charged her. That’s why she’s not gonna be charged because they’d have to go after Obama, and that’s never gonna happen.